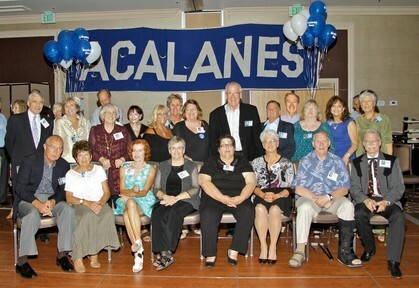 Welcome to the Acalanes High Class Of 1961 web site. 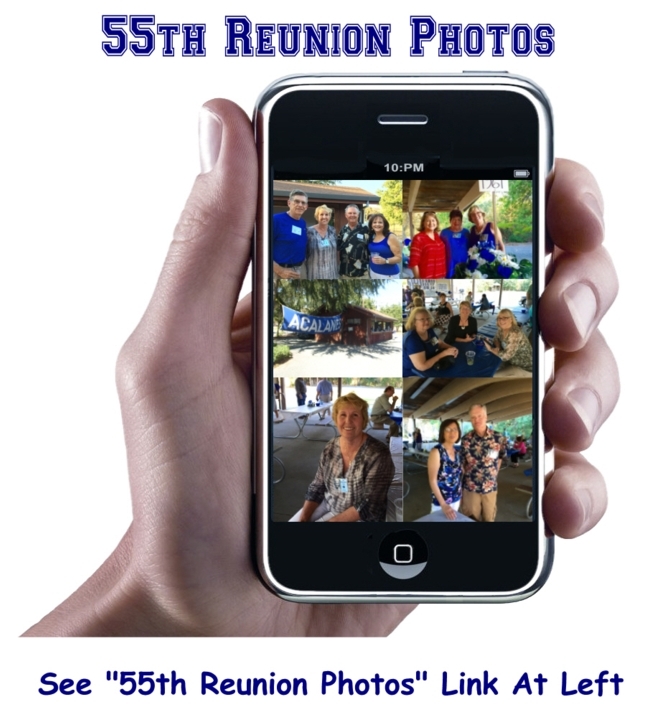 Thanks to everyone who attended the reunion. It was great to see you! And to those who weren't able to make it, we missed you!! 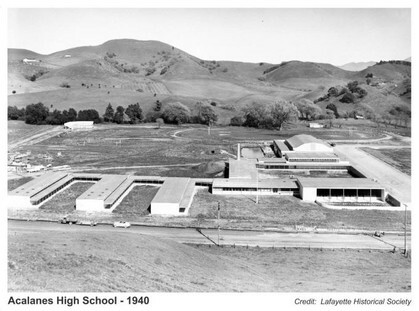 Acalanes High School was the first of several high schools in the Acalanes Union High School District in Lafayette, California. It was built in 1940 on what was then a tomato field. The school was built with federal money through the work of the Works Project Administration through the Roosevelt administration. Lafayette businessman M.H. Stanley suggested the name "Acalanes," likely after a local Native American Bay Miwok tribe called Saclan, referred to by Spanish missionaries as "Saclanes". The first graduating class of 1941 selected the school colors of blue and white and the mascot, the Don (a Spanish honorary title).